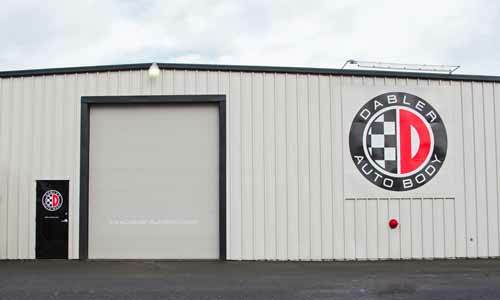 Dabler Auto Body has been in the automotive repair business for over 49 years, and we stand by our work with an Unlimited Lifetime Warranty. The repair of your vehicle is based upon vehicle manufacturer’s recommended specifications, and only the finest products, equipment, and techniques are used. If our work does not meet your satisfaction, we will provide a rental car at our expense until our obligation to the highest craftsmanship and customer service is fulfilled. We are an ASE certified repair shop. Our unlimited lifetime warranty covers all parts, materials, and labor used during the repair process.